Ladies with natural curly hair know that it can appear incredibly hard to manage this hair type. You can spend the whole day straightening the tresses and once there comes a rain drop your hair instantly go out of control and the curls come out again. The question is why to fight the natural curly hairstyles? 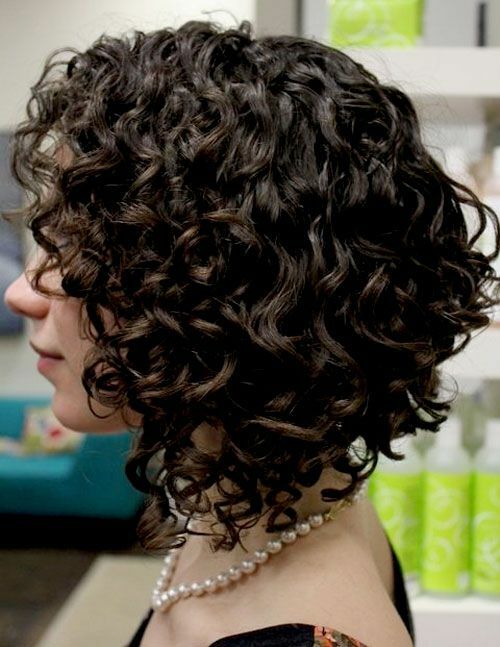 Why not to choose an appropriate curly haircut that will suit you and be easy to deal with? Perhaps you didn't know before but there are fabulous curly hairstyles for all hair lengths, that will allow you to wear proudly your curls and not to get nervous with them. Here are some hairstyles ideas for curly hair. Once you choose to love your curls, you can create such a messy hairstyle, that combined with layers and long side bangs will become a perfect example of modern retro hairstyles. If you curls are quite tight, then don't hesitate to obtain this classy bob haircut. The tight curly hairstyle will accentuate the bob cut, mind that if the curls are loose all the shape will be smashed. We always associate a pixie haircut with strong and daring women, and usually we see spiky pixie. But this perfectly curly short haircut makes the pixie so soft and romantic, that is achieved mostly by the perfect choice of ash blonde hair color. Layered bob haircut is one of my beloved pretty hairstyles. On curly hair and with the right highlights it looks so cute and playful! And finally curly hairstyles can also be practised on long hair for sure. The symmetric layered cut and the messy effect makes the style gentle and innocent.